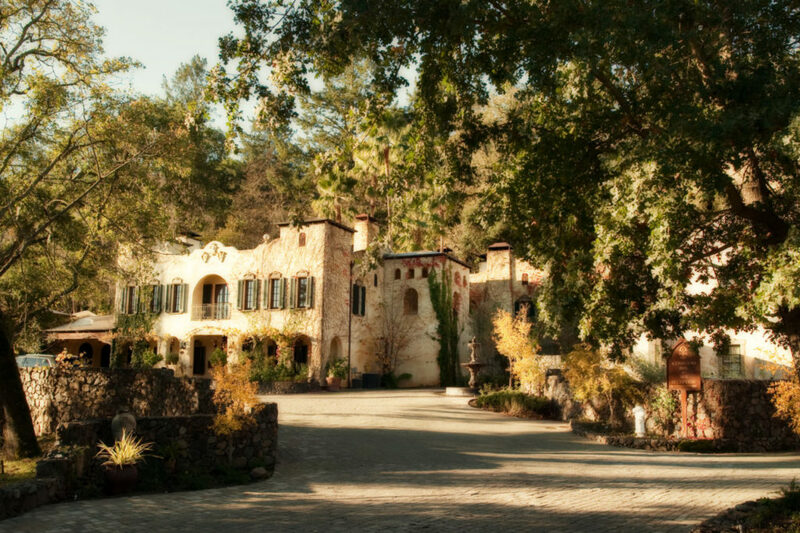 When wildfires whipped through the Sonoma Valley last fall, guests at the luxury Kenwood Inn & Spa fled in the night with no check-out. Alerted by the innkeeper, who had been keeping a wary eye on red skies to the east, many in their haste didn’t even stop to close their doors. 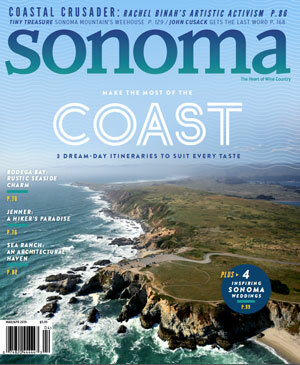 The fire came within a quarter-mile of the boutique hideaway on Highway 12, causing extensive smoke damage and forcing the inn to shut down for months of cleaning and renovation. 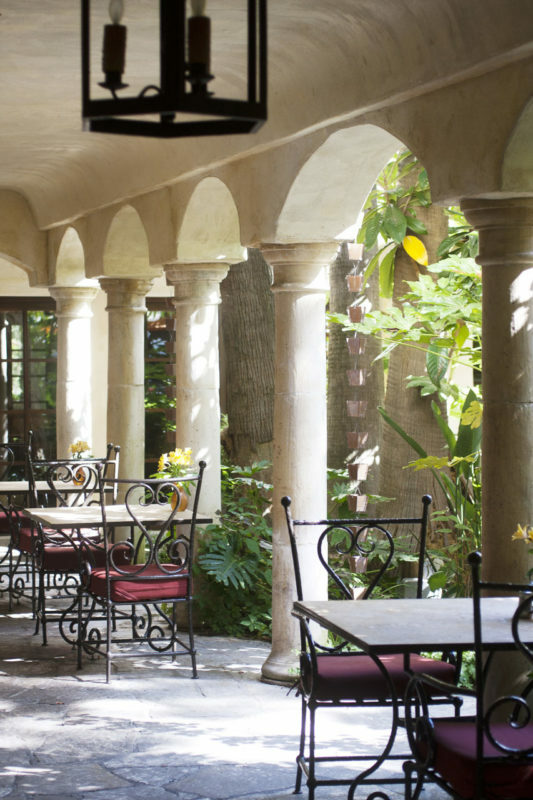 But when it reopened this spring, the 29-room inn hugging a hillside was not only sparkling clean with fresh and more authentic Italian-style plaster. It was showing off a few new features, including an updated reception area with special touches like a custom-milled oak and black marble-topped desk and new limestone fireplace mantels. And at a time when most hotels are going for electronic locks, the Kenwood Inn is dialing back to the Old World, with big brass and tasseled room keys stored in their own wooden key cabinet, all custom made in Italy. 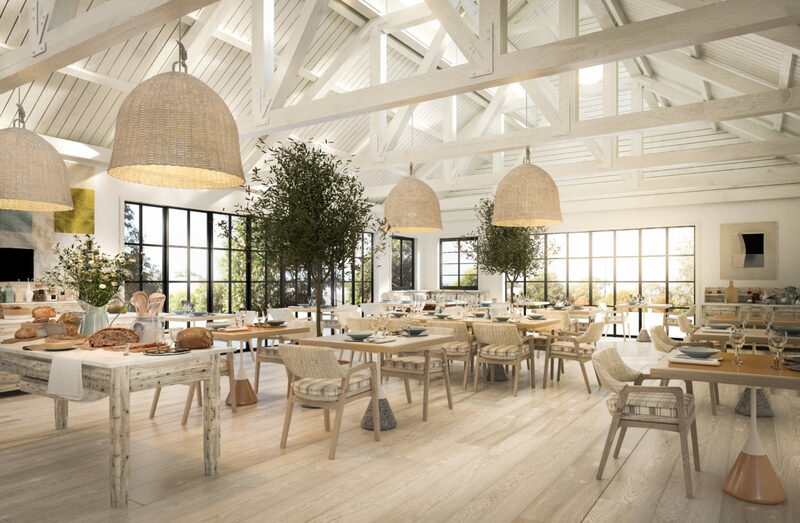 Other subtle interior design details have been incorporated by Salt + Bones, a design studio in Carmel that specializes in hotels and restaurants. 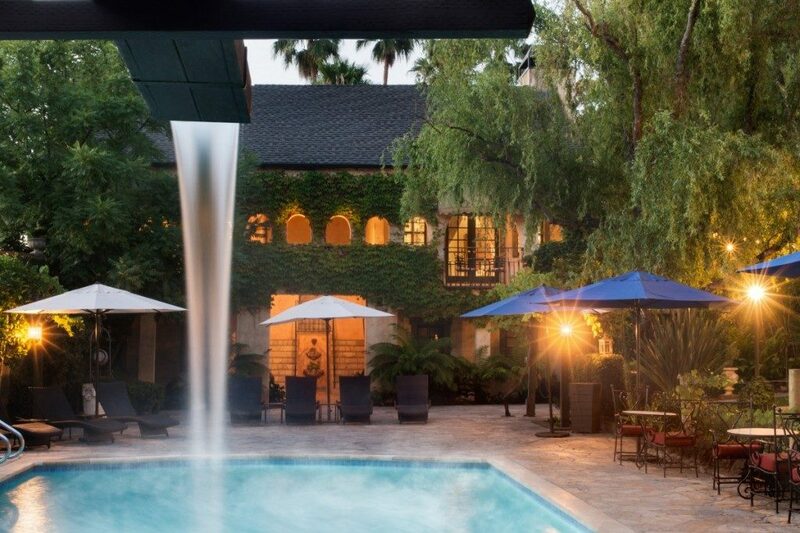 This fall, a whole new spa will be unveiled. 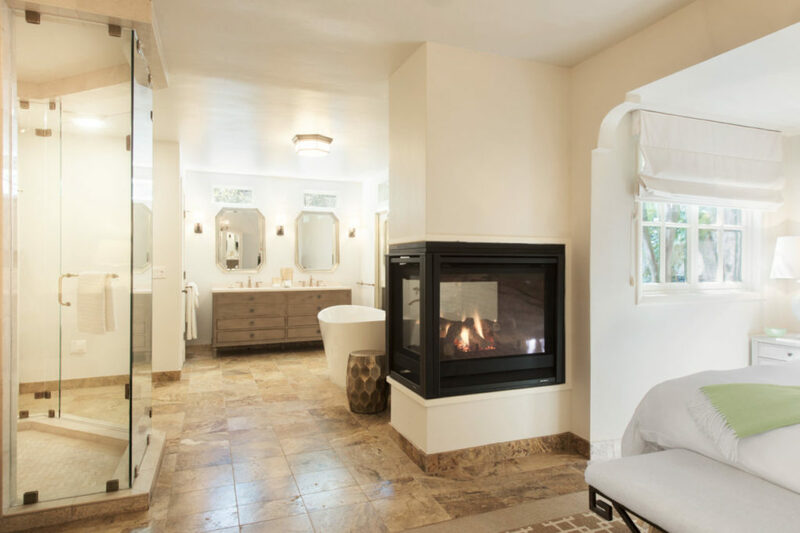 Guests coming in for treatments can cozy up to a larger fireplace, relax in a new waiting area and dress in new men’s and women’s locker rooms. A 12-foot communal walnut trestle table, shipped over from Italy, has been added to the small dining room. And guests, through special package arrangements ordered in advance, may now enjoy a full five-course dinner at the inn, in addition to the small plates that have been available. Inn General Manager Scarlett Graham says it was difficult after the fire. The hotel was sold out the night the fires broke out, and many people left all their belongings behind. After a lengthy evacuation, she and the inn’s chief engineer went room to room, meticulously packing up sunglasses, passports, cameras, car keys, and wine purchases and mailing them back to their guests. 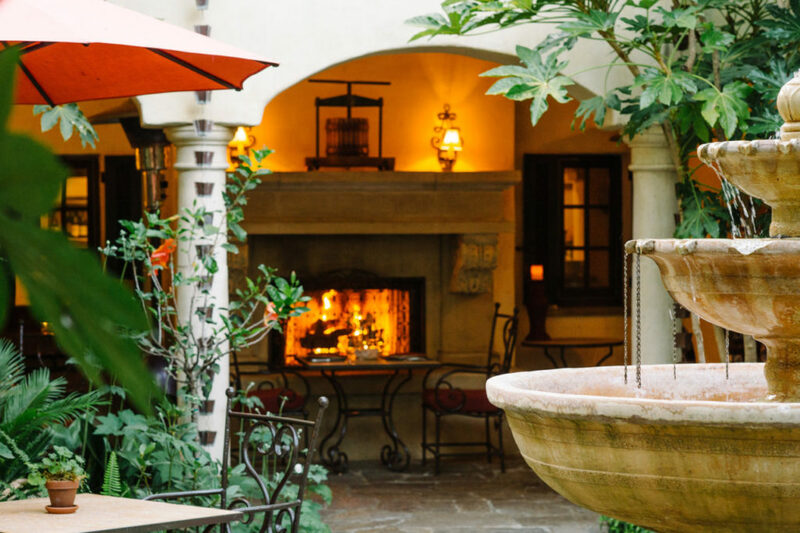 The inn is offering a Passport to Spring Package with 20 percent off regular room rates, a $50 spa credit, complimentary bottle of wine, and discounts. Big changes are coming to historic MacArthur Place, including a complete revamp of the resort and new restaurant concepts.